An important application of organic semiconductors is to fabricate organic field-effect transistors (OFETs) which are essential building blocks for the next generation of organic circuits. In terms of molecular size or molecular weight, organic semiconductors can be divided into small-molecule and polymer semiconductors, and thus their corresponding OFETs can also be categorized into organic small molecule OFETs and polymer field-effect transistors (PFETs). On the basis of the main charge carriers transporting in OFET channels, organic semiconductors can be further divided into p-type, n-type, and ambipolar semiconducting materials. According to the characteristic of the organic semiconductors, the OFETs can be classified into two types: organic thin film transistors (OTFTs) and organic single crystal transistors. In any kind of OFET devices, organic semiconductor materials are the core; their properties determine the performance of the electronic devices. Therefore, the design and synthesis of high performance organic semiconductor materials are the basis and premise of the wide application of OFET devices. In the past few decades, great progress has been made in developing organic semiconductors. 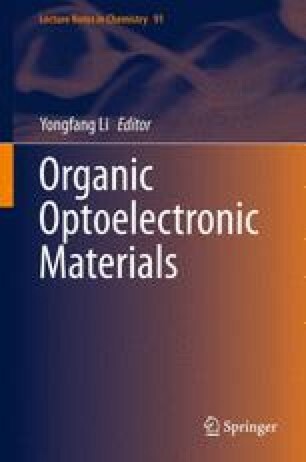 Besides organic semiconducting materials, there are many other factors influencing the performance of OFETs including device configuration, processing technique, and other devices physical factors, etc. In the following, a brief review of the development of p-type, n-type, ambipolar organic semiconductors and their field-effect properties is given. The history, mechanism, configuration, and fabrication methods of OFET devices and main performance influencing factors of OFETs are also introduced.